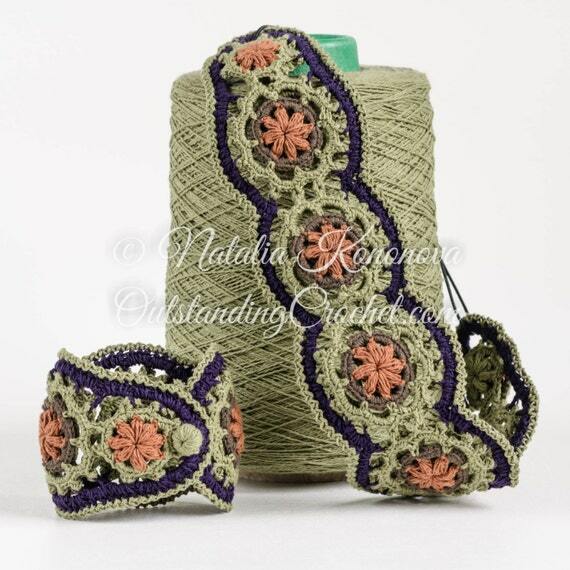 Outstanding Crochet: New crochet jewelry pattern in the shop - crochet bracelet/wrist cuff and headband pattern - crochet accessories pattern - step-by-step crochet jewelry tutorial - Midsummer. 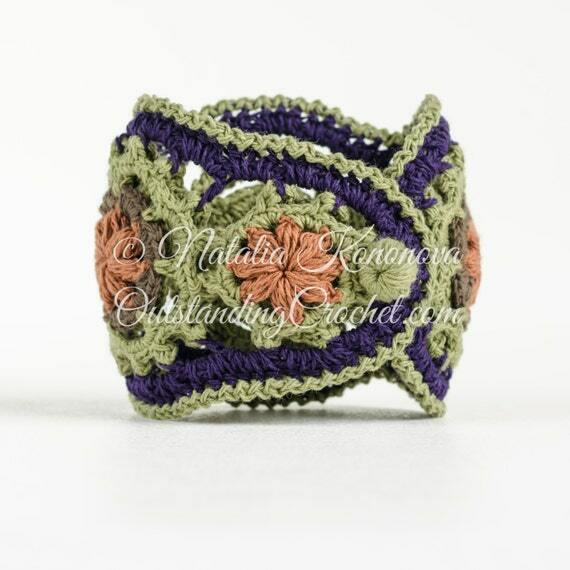 New crochet jewelry pattern in the shop - crochet bracelet/wrist cuff and headband pattern - crochet accessories pattern - step-by-step crochet jewelry tutorial - Midsummer. 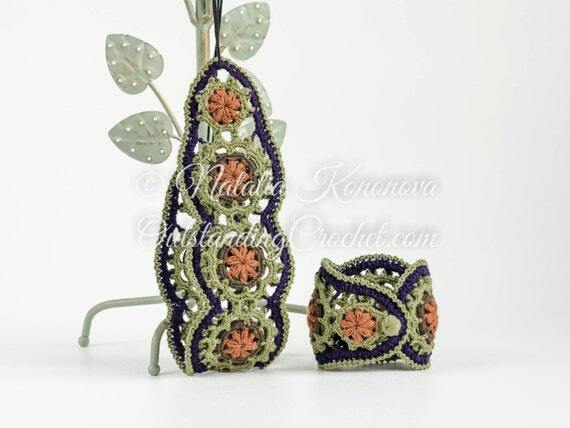 I worked on this pattern last weekend and very pleased with the result! Really love this set. Fiber jewelry feels soft on your skin and doesn’t get in the way during your daily adventures. ch (chain), sl st (slip stitch), sc (single crochet), hdc (half double crochet), puff (puff stitch, or learn in the process). - 1 mm, 1.4 mm. The pictures are not to see for public viewing, perhaps You set them private? I wondered the same...How can I know if I'm even interested enough to go and look to see if I want to purchase...if I can't see a picture of this. Your other patterns are lovely, for sure! But without any pictures to go by, there cannot be any interest, can there? Was this a mistake? - a technical glitch? Also no pictures to see from the Netherlands. Thank you for letting me know. It's a glitch. Images from the same collection appear in othere posts, and these did not. 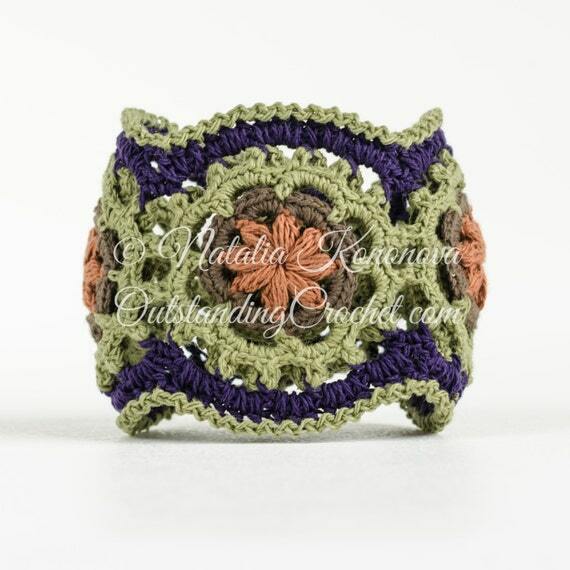 I included urls from Etsy.